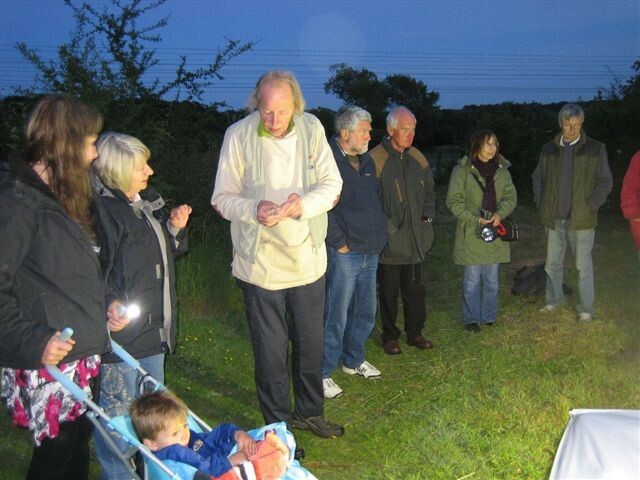 On Saturday 11th June we had a moth evening. 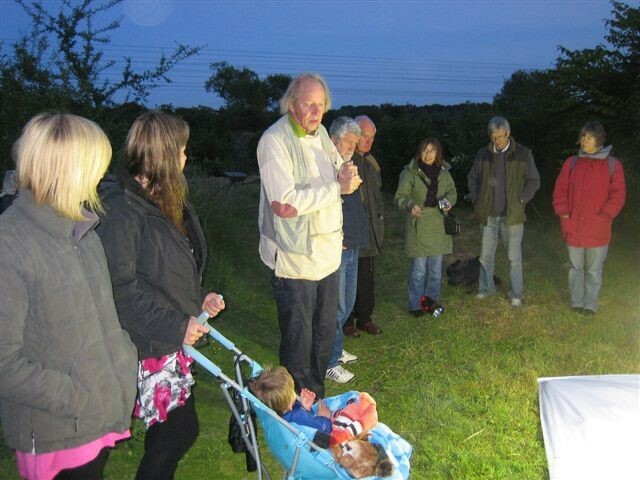 Tim Walker brought a generator to run his moth trap. 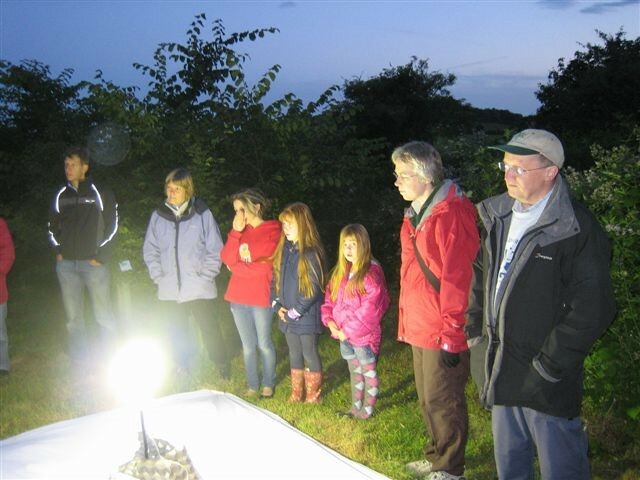 The group gathered around a mercury arc lamp, waiting for moths to arrive. We had a bulb failure about 11pm, so packed up and headed home.